Hi Everyone! I was thrilled when The Greeting Farm asked if I would be a guest for their new YouTube Video channel and of course I said yes. The day has finally arrived and I can share my first video with you! I absolutely love the new Merbean Collection and of course I got every single one during the pre order. I couldn't resist. Today, I decided to use Mishell because she is absolutely adorable. 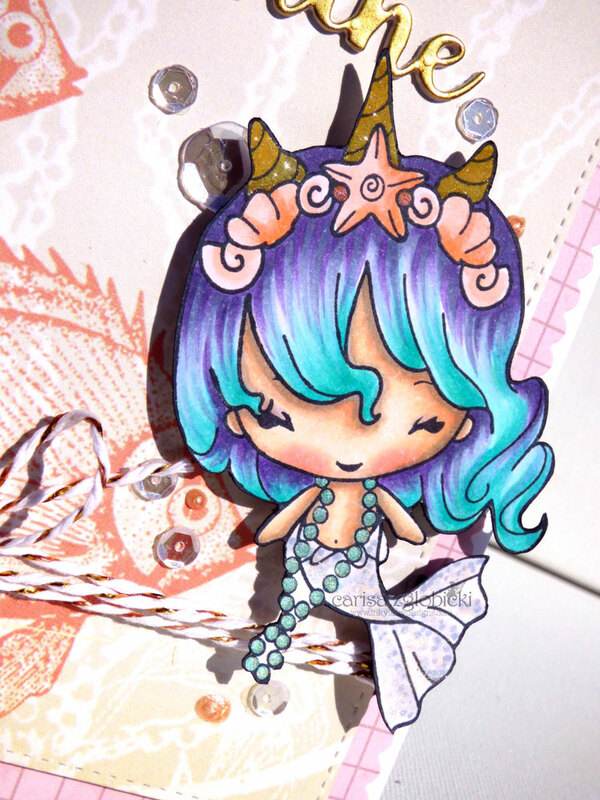 I decided to play with her hair because she's a mermaid and mermaids can have any color hair they want! Using a photo as my inspiration, I will show you in the video how Sandy Allnock's Hex chart has been super helpful in choosing colors. I enjoyed this video so much! I learned many tricks from it that I hadn't thought of before!! You rock! !